One of the biggest differences between the iOS and the Android/Windows Phone experience is its layout of elements. While the Android experience gives you three core controls at the bottom (back, home, task manager), the iOS experience doesn’t. For an iOS user to go backward, they need to reach all the way to the top left corner of the screen… something no thumb is capable of reaching while you grip the phone from its base. Operating an iPhone therefore with one hand isn’t as easy as an Android or a Windows phone. 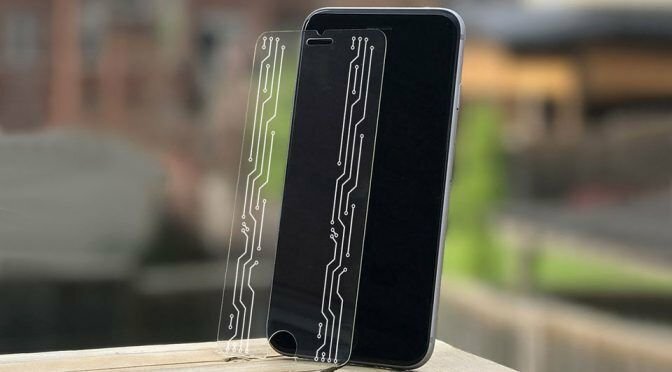 That’s where Nombiss does a bit of magic with its tempered glass screen protector. Intelli+ is the worlds first smart screen protector that simplifies navigating your iPhone. Built with Smart Glass technology, you no longer have to struggle to reach the top of your screen. Instead tap on the built in smart buttons and let it do the reaching for you.